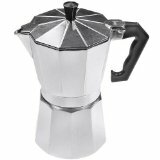 Bene Casa Stovetop Espresso Coffee Makers Reviews. Stovetop Espresso Coffee Makers by Bene Casa. 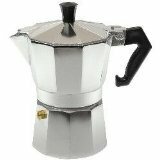 Items include Bene Casa 6 CUP Traditional Stove Top Espresso Coffee Maker, and Bene Casa 3 Cup Aluminum Espresso Pot Coffee Maker. In Spain these are called "cafetera"
Bialetti 06951 replacement gasket for 6 cup coffee makers.